Year 6 have finished their swimming lessons for this term. After Christmas, we will be doing PE with one of our sports’ coaches every Wednesday. Please ensure that you have your PE kits in school every week. Click on the page on the left to see pictures of our fun-packed day at Kings Leadership Academy, celebrating Roald Dahl Day. Did you know we have a World Champion in our class? 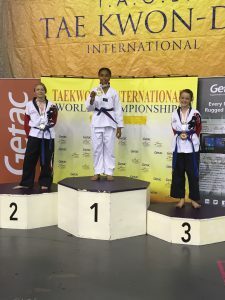 World Champion in her age at Taekwondo? Isn’t that amazing?